Bermuda-based First Atlantic Commerce [FAC], a global online payment solutions provider, and RezBS, a Bahamian tour management booking platform, announced their collaboration and technical integration to enable real time online credit card processing for tour operators. 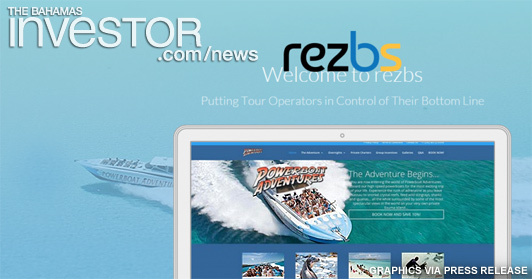 HAMILTON, Bermuda, January 2016 (Bernews) – First Atlantic Commerce (FAC), a global online payment solutions provider, and RezBS, a Bahamian tour management booking platform, today announced their collaboration and technical integration to enable real time online credit card processing for tour operators. FAC is a Bermuda-based, feature-rich payment gateway that was established in 1998 to deliver customized and flexible online credit and debit card processing to international corporations across the globe. The company also provides card storage functionality and risk mitigation solutions to its merchants, banks and other gateways. RezBS is a complete online tour management platform developed in The Bahamas to provide tour operators everything they need to take their business to the next level, including no hassle e-commerce and online bookings. Designed and built by web development agency, Thyme Online, RezBS, provides tour operators with a complete platform for managing booking and reservation operations. With online bookings now accounting for over 60% of all vacation tour bookings in the Bahamas, Bahamian tour company, Powerboat Adventures, said they needed to get serious about using the internet. Owner, Captain Nigel Bower, approached Thyme Online Ltd. for help in finding the solution and RezBS was born. The platform has been developed to integrate with all the e-commerce products offered by First Atlantic Commerce, which is connected to various major banks in the Caribbean, ensuring it is available to as many local tour companies as possible. The RezBS platform also means tour companies don’t need to rebuild their websites to meet the stringent security requirements of the credit card companies and banks, as security is handled by the platform itself. First Atlantic Commerce (FAC) is a leading global, online payment solutions provider. FAC is headquartered in Bermuda and was established in 1998 to create secure card-based payment solutions for online businesses. FAC provides merchants with multi-currency payment solutions in addition to fraud management services including AVS-only, CVV, 3-D Secure™ and Kount’s fraud control system, in multiple jurisdictions across Europe, Mauritius and the Latin American Caribbean Region. Thyme Online Ltd is a Bahamian firm founded in 1998. The company quickly became one of the leading web development firms in the region. The company specialises in e-commerce solutions and custom web application development. The Tourism Ministry is promoting Grand Bahama through the The Grand Life multi-media, multi-lingual advertising campaign launched this month. Watch the TV commercial here. The Bahamas Telecommunications Company, part of Cable & Wireless Communications, has announced that Dr Bornadata Evans has been appointed as the company's new chief operating officer.